Hello, Texans! We are seeking for D/HH Mentors and Role Models for a new program, TX D/HH Mentor Program. 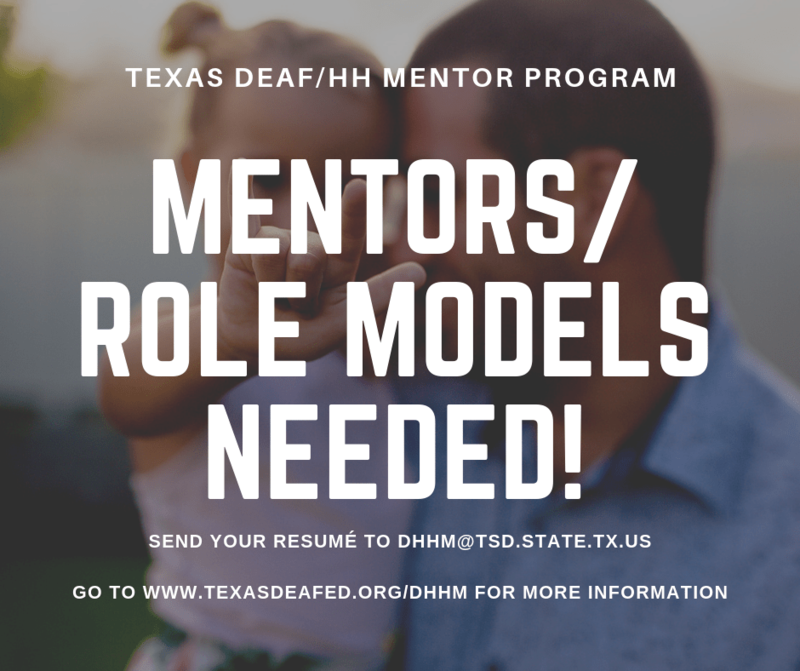 In order to be considered for a position as a DM (DHH Mentors) or RM (Role Models), you must be available for the SKI-HI Deaf Mentor training on May 10-12, 2019 at the Texas School for the Deaf in Austin.